Jewellery, without doubt, is timeless. From pieces in gold and precious stones to those with pearls and in platinum and silver, classic and elegant styles have always continued to have a bewitching and irresistible magnetic charm. But while pieces for festive and occasion wear are in a world all of their own, regular wear – or office wear – pieces are what are subtly but surely vying for greater shelf and display space in stores while stealing the hearts of customers. Diamond jewellery appears to be fast gaining popularity if sales figures are anything to go by. That seems to be highlighted by a 2017 report by diamond giant DeBeers which revealed that women - both single and married - are buying more diamond jewellery than ever before. ‘The best thing about diamond jewellery is that it appeals to the youth as well as to the 45-60-year-olds,’ says Shamlal Ahmed, managing director international operations, Malabar Gold & Diamonds. 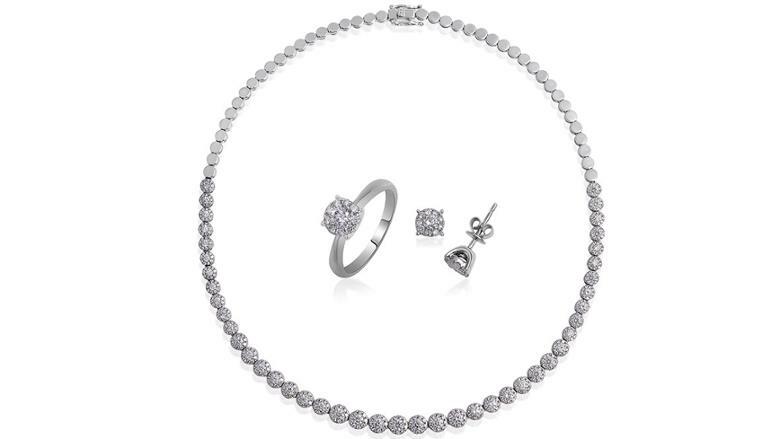 He adds that the popularity of everyday wear diamond jewellery range is fast growing. The trend in diamond jewellery is about new styles in setting. Design is king, say jewellery trend watchers. Recognising the growing popularity of everyday wear, Malabar Gold and Diamonds, like other jewellery companies, has been developing lines for regular wear since several years. ‘We have diamond jewellery starting from Dh680. So it’s become a lot more affordable and no longer an expensive category,’ says Shamlal. Of course, diamond jewellery can go up to a million dirhams as well, he adds. On the flip side, stones such as rubies, emeralds and sapphires are not very popular for office wear because they can be carried off well only when worn with particular colours of attires. ‘A red ruby for instance would have to be worn with a dress that complements that shade. So it is not versatile enough,’ he says. Pearls, too, can be worn as everyday wear but the pieces require more care as the use of perfumes could affect their quality. You need to careful handling pearl jewellery, he adds. ‘But diamond being neutral, will go with pretty much every colour and dress type,’ says Shamlal. Value for money is something Sky Jewellery’s Arun constantly stresses upon when discussing the pieces at their stores. ‘Whether it’s precious stone jewellery or gold or diamonds, we believe that for the customer, all pieces should represent value for money,’ says Arun. The multiple lines of diamond and precious jewellery in their stores are representative of just that, he adds. ‘We have a line of interchangeable patterns where one piece can be worn in different ways. This line is just what our motto is all about – value for money,’ says Arun. ‘Diamond jewellery ‘is very versatile,’ says John Paul Alukkas, executive director of Joyalukkas Group. And the good news is that a plethora of designs is available for everyday wear, making it ideal for office or even an evening out. Apart from diamonds, other precious stone jewellery too are growing in popularity. Oofrish Contractor, head of marketing for Liali Jewellery, echoes the sentiment. ‘Fine diamond jewellery is picking up mileage among the millennials who want everyday pieces that will last. 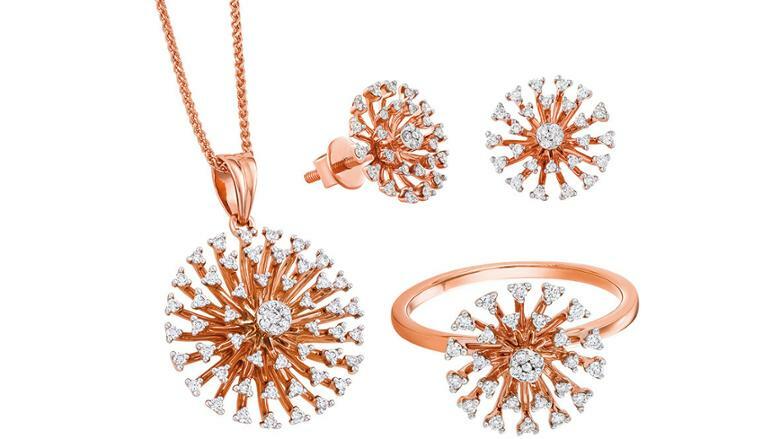 Women are experimenting with more fashion-oriented diamond jewellery to accessorise with and are styling them with different hues in gold such as rose and even layering multiple pieces,’ she says. As for trends, she says layering multiple necklaces and pendants and stacking of rings and bangles is very popular. Chirag Vora, Director of Bafleh Jewellery seconds that. 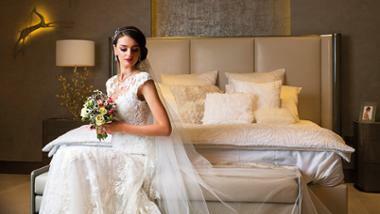 ‘The trend in UAE is for lighter and sleek designs. Although, rosegold, white gold or rhodium jewellery are still in fashion, yellow-coloured jewellery is slowly making a comeback. Traditionally, chains, bangles are the top selling items but bracelets are also becoming trendy,’ says Chirag. Sarah Clohessy, marketing director, emerging markets, for Pandora jewellery, says that the trends relate to how you can style up/down your jewellery. ‘The heritage of Pandora jewellery is in solid sterling silver, so a large proportion of our business is in this metal,’ she says. The company’s Pandora Rose and Pandora Shine (18k gold plated on solid sterling silver) are popular in the region. ‘Pandora Shine that was launched in March this year offers the style of 18k gold at an affordable price point. ‘Pandora lends itself to stacking or creating layered style statements so your style can be subtle or bold with many layers depending on the occasion,’ she says. Their Signature Style collection boasts rings, earrings and necklaces that can be worn in different ways. ‘A balance between sophisticated and edgy in design and style ensures that our jewellery can be adapted depending on the mood, occasion or event,’ says Sarah. A short trip through Gold Souq or into any jewellery store in the country would prove one thing – these millennials are brilliantly spoilt for choice.